Collins Booksellers - An Imperfect Reunion by Trina Lane, 9781786516114. Buy this book online. Their plans for a paradise vacation didn’t include bullets and bombs. The gang from Boston has decided to celebrate their friendship with a group vacation. The plans are perfect. The setting is paradise. 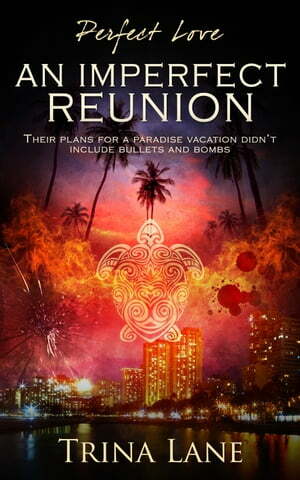 But before they can soak up the sun and sip their Mai Tais, the group finds themselves embroiled in a terrorist attack. Scattered to the corners of the island, the group of friends must find their way back to each other. Meanwhile, Ryan becomes the key to unravelling the terrorist organization. Is the group’s love for their partners, and each other, strong enough to survive the turmoil of an attack designed to rip apart the fabric of their country?